Comments: Welcome home to Baltimore Co--the perfect spot to be close to so much! 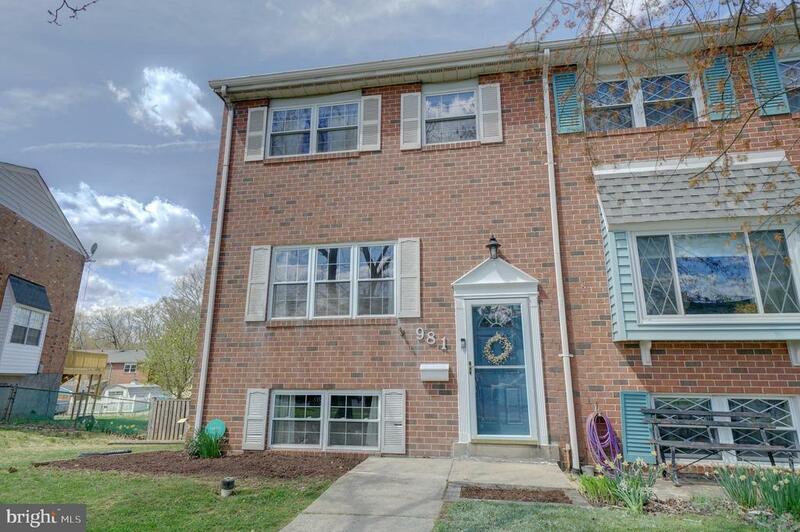 This end lot townhome offers an ample yard, onsite parking and more. The main level welcomes you in with refinished hardwoods, fresh paint, new kitchen updates and more. The light, open feeling comes from the added end unit windows. Upstairs, you'll find three bedrooms and more hardwood. The master is spacious with a walk-in closet and bath. The other two bedrooms are roomy with ample closet space. The lower level is recently refreshed with carpet and paint, and awaits your family movie nights. The lower level laundry/utility area offers a half-bath, plus walk- out. Don't forget about the energy savings for years to come with this solar home. This commuter haven offers convenience in so many ways. Minutes from 95, 695, 195, BWI, MARC and more. Come see why so many call this area HOME!